The 3.7L V6 features the technology of twin independent variable camshaft timing (Ti-VCT) that contributes to fuel efficiency or power output, as conditions demand. Standard brake assist helps to maximize braking efficiency. With the addition of standard AdvanceTrac® with four-wheel ABS, traction control, and electronic stability control, the MKS delivers confidence during emergency braking. If you're coming around a curve a bit too fast, you'll be glad to know that the Lincoln MKS comes with Curve Control, an enhancement to the AdvanceTrac® electronic stability control system. If it detects that you're entering a curve too quickly, it will apply four-wheel braking, while also employing throttle reduction, to help reduce your speed. Available Intelligent all-wheel drive (AWD) uses sensors to constantly monitor traction. It balances torque between the front and rear wheels to enhance handling and maximize traction, typically before wheelslip can even occur. 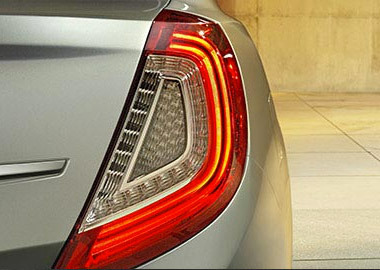 Full LED taillamps illuminate faster and are brighter than incandescent bulbs. They also use less electrical current, which extends the life of the flashers. 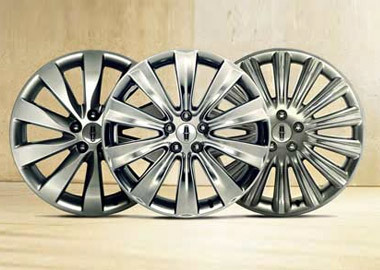 Intelligent Access with push-button start is a Lincoln MKS standard feature. With the key fob in your pocket, purse or briefcase, just open the driver's door. Once inside, press the brake pedal and then the start button, shift into gear and take off. It's so easy and convenient, you'll wonder how you ever got along without it. With new hardware, new software and an easy-to-use design, SYNC® 3 provides in-vehicle technology to help keep your eyes on the road and your hands on the wheel. To respond to your voice, enhanced voice recognition provides easy hands-free calling and simple music search, along with SYNC AppLink™ to voice-control some of your favorite compatible mobile apps while driving. With easy destination entry for optional navigation and pinch-to-zoom capability, you can easily locate your favorite restaurants, nearest ATM and more. In addition, with no-extra-charge 911 Assist® your connected compatible cell phone can call 911 in the event of an accident to give you peace of mind. Both driver and front passenger can relax in the heated or cooled front seats with three temperature settings each. A thermal engine, operated independently of the vehicle's climate-control system, heats or cools the air and then circulates it through the perforated cushion and seat back. Heated rear outboard seats with two temperature settings are also available. Lincoln MKS offers a sophisticated selection of wood trims for 2016, and the premium wood package surrounds you with even more of it. Available Charcoal Black interiors come with the rich and dramatic Brown Swirl Walnut, while Hazelnut and Light Dune interiors feature the intricate patterns of Prussian Burl. The standard rear view camera provides a video image of the area behind your car on an 8-inch color screen. Color bars help you judge how far objects are behind your vehicle. The system works in conjunction with the standard Reverse Sensing System by alerting you with audio tones while slowly back up. Available adaptive cruise control (ACC) functions just like traditional cruise control, but with one exception: When the system is activated, its sensors can detect traffic slowing ahead and slow your vehicle to maintain the distance you've set. When traffic has cleared, your vehicle resumes the preset speed. Collision warning with brake support (included with ACC) can alert you if it senses a potential collision with the car in front of you. A heads-up display, which simulates brake lights, flashes on the windshield. If you don't react in time, the brakes will precharge and increase brake-assist sensitivity to provide full responsiveness when you do brake.